I went digging through my vintage tops to find my next hand quilting project. I love this first one, even though it doesn’t lay quite flat and has some significant fading. I found this piece too. It would make a nice crib size quilt. I dug through my stash of vintage fabrics to find a piece of green for that missing border, but came up empty handed. I asked on Instagram and one lovely person had a piece that matches exactly. Even more amazing, she was willing to part with it! I decided to baste the first one so I can start hand quilting it today. I basted it on my long arm using a long stitch length and very large stipple pattern. 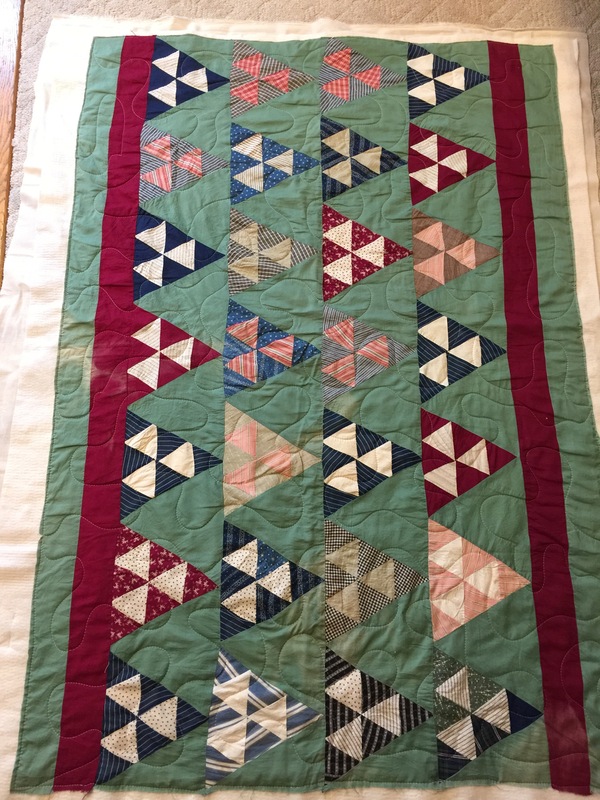 This entry was posted in Hand quilting, Uncategorized, Vintage Quilts. Bookmark the permalink. What serendipity! I love that these two quilts look as aged as they do. Better label them so as not to confound some future owner as to their histories! Those two vintage pieces are so pretty. How wonderful that you were able to locate matching fabric. Enjoy your stitching. 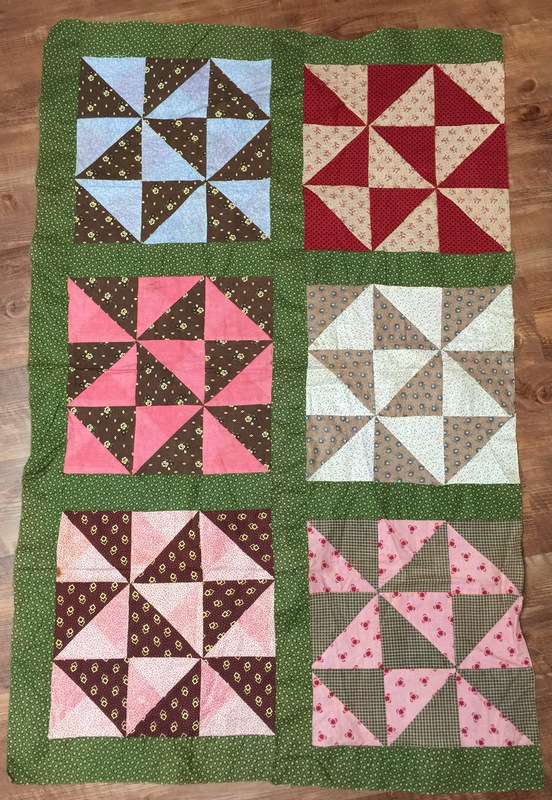 I love the color of green in that first quilt. I’m glad you’re taking the time to finish it up with it’s tiny flaws. It has merit and should be able to shine too. What are the odds that someone else would have exactly the fabric you needed? Looks like you are all set for hand stitching now. 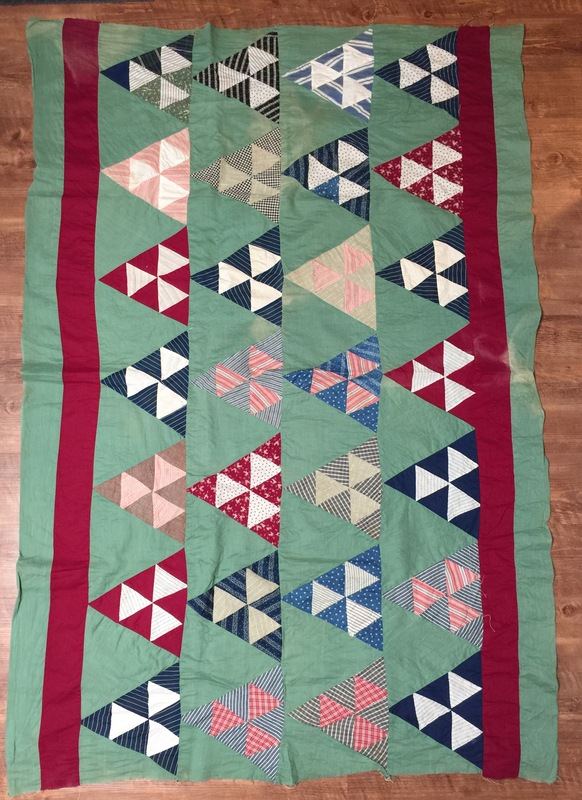 Love the triangle quilt! 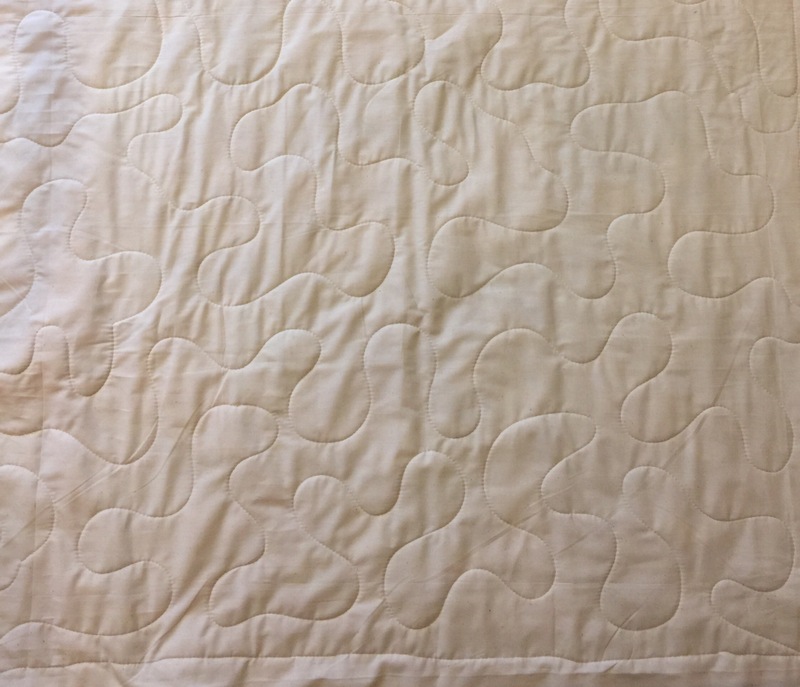 It’s perfect for some hand quilting! Good choice! Have fun with the hand quilting.